After starting a domain account change, we send an email to the new account holder to accept the domain. If the new registrant can't find that email or accidentally deleted it, you can resend it at any time. Under the Pending Transfers heading, select Transfers Out. 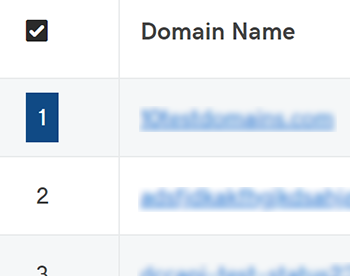 Click the number to the left of the domain name to select it. Select Resend Email above your list of domains. Note: The email is resent to the email address entered when the account change was started. If the email address was entered incorrectly, you must cancel the current request, and submit a new account change using the correct email address. After the email is sent, be sure to accept the domain into the new account to complete the process. Changed your mind? 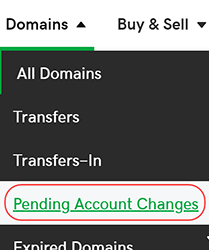 You can cancel the pending account change to keep the domain in your account.